Extraterritoriality event: a success ! 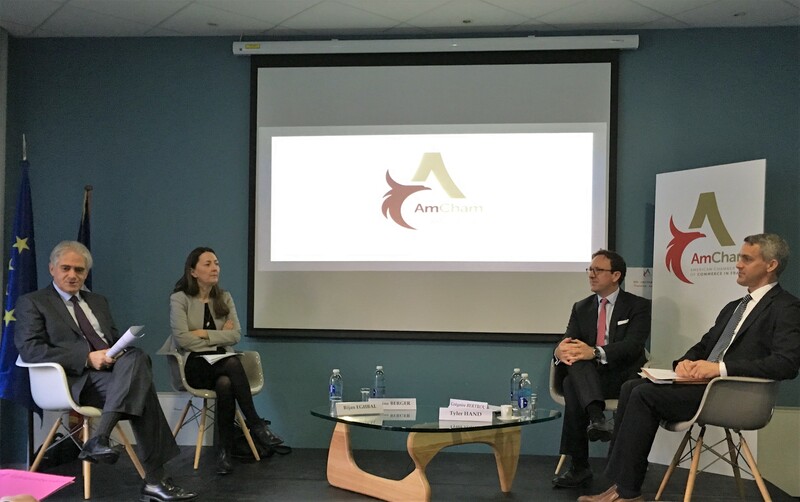 On the 13th of November, AmCham welcomed Karine Berger, Chief Financial Officer at INSEE and co-author of the parliamentary report on the Extra-territoriality of American Laws, Tyler Hand, Global Head of Sanctions, Interdiction, and Anti-Corruption at Western Union and Grégoire Bertrou, national partner in Willkie’s Litigation Department in Paris, for a panel debate moderated by ComEx member Bijan Eghbal, partner at DLA Piper, on “Extraterritoriality: how to position your company”. The three speakers each offered their knowledge and expertise on the question of the extraterritorial application of U.S. law, making it a dynamic and stimulating debate with the 30 participants. AmCham would like to thank Western Union in particular, who sponsored the event, and contributed to its success.